Happy Monday! I hope everyone with cause to celebrate had a wonderful Mother’s Day! I’ve been thinking about tattoos. Their are 1000s of pics like this one. If your tattoo artist is eating a Milky Way – run. One upside of taking public transportation is that it allows me to spend a lot of time people-watching. Boston is a college town to which people flock from all over the world, so when I see clothing in bizarre styles and textures in weird color combinations, I wonder if the wearers are on the cutting edge of a new trend and I’m the one out of step. I witness behavior that most reasonable humans would consider odd on a regular basis. But whenever I see a person with “ink”, whether it’s just one or especially if it’s many, I wonder what prompted them to walk through the doors of a tattoo parlor, sit in a chair and ask for “that”, whatever that is. I’m not talking about the adorable little lady bug on a 19 year old girl’s shoulder, only visible during the summer months peeking out from the edge of a cute sundress, or the ubiquitous “tramp stamp” which should never be visible, but too often is, or the motto of a particular branch of the service on the bicep or forearm of someone who has served. I have a lot of friends who have ink and most have wonderful stories to go along with each piece. No, I mean I wonder about the really weird stuff. 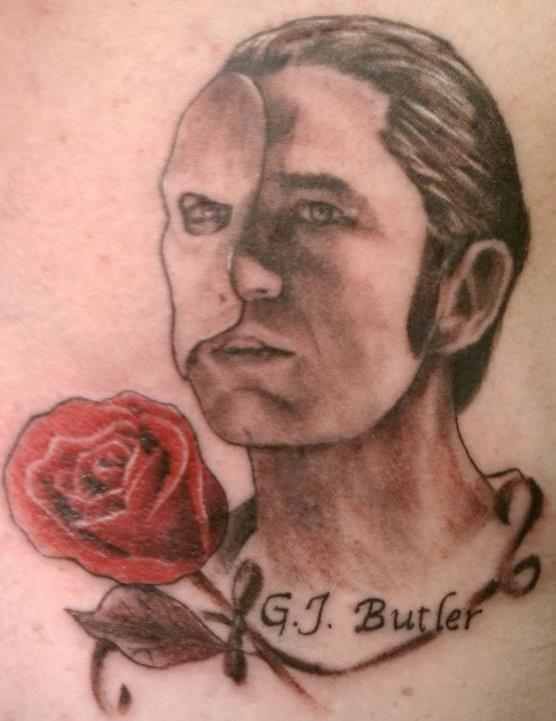 I don’t think I’ll ever understand the impulse which causes someone to want an actor or athlete’s face permanently etched into their skin. Is that Lindsay Lohan or Michael Jackson? I suppose if you have to have a Backstreet Boy, why not Kevin Reynolds? I’ve read stories of a certain actor being asked to sign tattoos of himself as one of his more popular characters, usually by women, and accosted in men’s rooms all over the world while fanboys flash various body parts emblazoned with the visage, usually in battle mode, of quite a different character. That must be just a tad disconcerting, I don’t care how ginormous your ego. My first thoughts whenever I see someone who has just gone to town with the whole “body art” thing is one, people can become addicted to anything and two, what are they going to look like when they’re 80? But even a colorful “sleeve” can be beautiful, as can the tattoos created for survivors of breast cancer who have chosen not to have reconstructive surgery, but to adorn their still beautiful bodies. What I find truly incomprehensible is the face tattoo. Unless you live somewhere that it is important that your tribal affiliation be worn not on your sleeve but on your face, what is the reasoning? I don’t worry about what someone with a face tattoo will look like when they’re older, I worry about what kind of a job they could get now. Valid or not, we see a face tattoo and we jump to certain conclusions, none of them good. I’d only ever seen pictures of face tattoos, whether they be in the movies or on entertainers. Until recently that is. An employee who works in one of the kitchens here has created quite a stir lately. Simply that she has a face tattoo is enough to get people whispering and wondering what it means. Apparently though, she’s had it for years and no one knew. She’s just recently stopped applying layers of makeup to it to keep it hidden. I can imagine that someone, probably in Human Resources, talked her into covering up the tattoo while she’s at work. This is a fairly conservative Jesuit Catholic University after all. But I haven’t a clue what was behind the decision to now let it all hang out, as it were, any more than I have about why she’d gotten it in the first place. I know most of the people here are wondering the same things and some of them are looking at her differently because of it. No doubt those nasty preconceived notions have reared their ugly heads. I wish I knew her well enough to ask without being intrusive. Although some might say that if you have a tattoo on your face, questions are inevitable and to be expected. My “ink” will not only be personal, but small, discreet and tasteful. I hope. 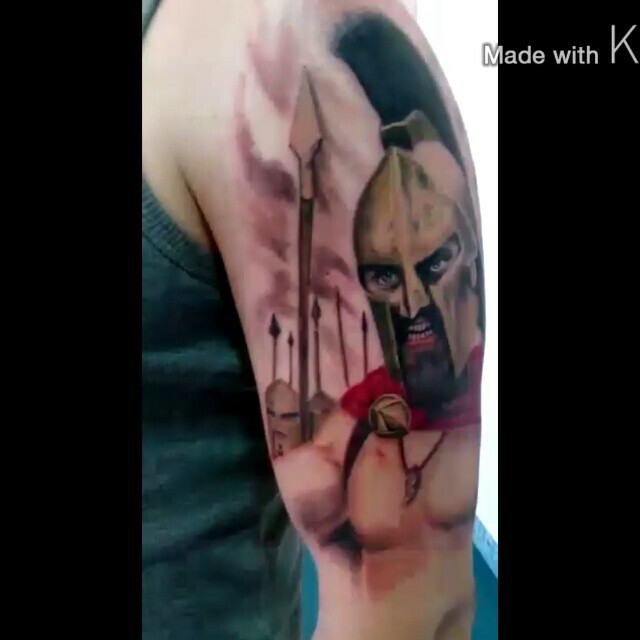 Do you have any tattoos and their stories that you’d like to share? Either way, I hope you have a wonderful week! *If it’s not a thing of beauty, it’ll still be forever. It’ll just be painful instead of joyous. ** Or you have it lasered off. The internet is also full of “do-it-youself” tips. Don’t do it! Eeuw! Some of those tattoos are awful! Like you say, the suit ain’t gonna help ‘skull man’ at all! I don’t have any tattoos, nor want any, but maybe having eczema might be a reason. I have a friend who has a dragon on her lower back that no-one sees, and a large tattoo on her inner arm that is writing in some odd script. It’s pretty amazing how tattoos have ballooned in popularity in the USA over the last 15 or more years. It is a growth industry! What once was considered rebellious and “other” has become common-place. What’s next? (I don’t want to think about it lol.) Thanks for reading! Every ‘significant’ birthday I have I think about getting a tattoo – so far it hasn’t happened. My ‘baby’ sister got her first at the age of forty (tiny doggy-paw prints on her ankle-adorable) and in the last ten years or so she has since added 4 or 5 more (tattoos – not pawprints) so I guess it really can be addictive. I’m still teetering. Maybe on my sixtieth . . . There ya go! If you still want one then, just go for it! Leave a reply on "A Thing of Beauty Is A Joy Forever*"